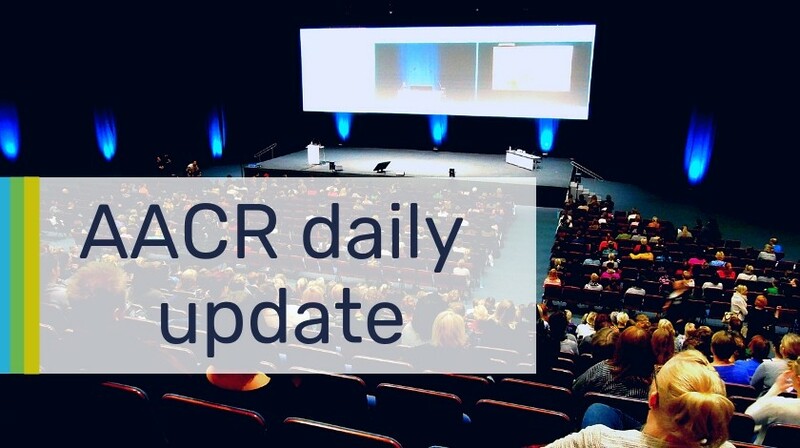 The second day of AACR has been filled with a wealth of exciting research, we have compiled our news highlights below. Take a look at some of our highlights and make sure to let us know your thoughts in the comments below or on social media. Remember you can find us at booth #4438, or follow our Twitter updates @OncologyCentral. Keytruda® (pembrolizumab) has demonstrated promising anti-tumor activity in patients with pretreated, advanced-small cell lung cancer (SCLC) according to pooled analysis data from the Phase IB KEYNOTE-028 trial and the Phase II KEYNOTE-158 trial. Could HDAC inhibition combat anti-PD-1 resistance in melanoma patients? According to results from the ENCORE 601 Phase Ib/II clinical trial, a combination of the experimental histone deacetylase (HDAC) inhibitor entinostat with the anti-PD-1 therapeutic pembrolizumab (Keytruda®) exhibits clinical responses in melanoma patients who had progressed on prior anti-PD-1 treatment. LOXO-195, which targets TRKs, showed signs of clinical activity in patients who had solid tumors that harbored NTRK gene fusions. The study included 20 patients receiving LOXO-195 through the Phase I clinical trial and 11 patients receiving a second-generation TRK-targeted therapeutic through an FDA expanded access single patient protocol. A mouse study has suggested that a vaccine preventative of cancer could be feasible for patients with Lynch syndrome. The researchers demonstrated that as few as four neoantigens could be used to safely elicit an immune response, resulting in reduced intestinal tumors and improved survival in a mouse model.